I once more sit down to address you a few lines, as I presume you will be glad to hear from me often. I am well yet and camp life begins to feel like home life again. When I mail this I shall send you my likeness in citizen dress and when I get my uniform I will send you it again in a case, if I don’t come to bring it. One company received their uniforms yesterday, and I presume we shall all get them soon. O, Maggie I forgot to tell you in my last letter that Jefferson and Belle were married. They were married the Thursday before I left home. It was quite unexpected by the most of the neighbors, and of course it took them by surprise. They came over to see me before I came away, but their stay was very brief. They are going to keeping house soon. I wish you would write as soon as you this, and direct to Grand Rapids, care of Capt. Anderson. Excuse these few lines. Adieu. Margaret “Maggie” Bowker. HCP Collection. During his recuperation (February 1862 – August 1862) after leaving the 3rd Michigan Infantry, Baird likely met or was reacquainted with the woman who would later be his wife, Maggie Bowker. 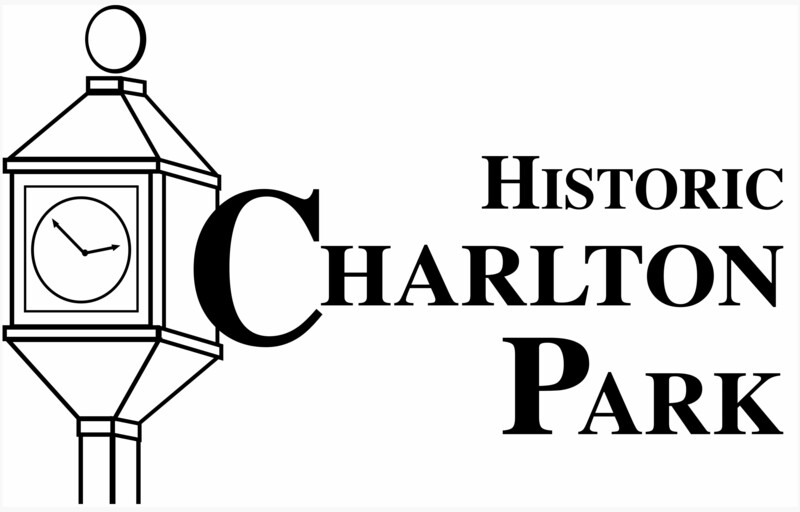 September 18, 1862 is the first letter Historic Charlton Park holds addressed to her after Baird returns to the service. The Bowker’s were some of the earliest settlers in Barry County, Michigan. The family’s first settler was David Bowker, the first landholder in Hope Township in 1840. In 1847, Maggie’s father Silas Bowker moved into Hope Township. George Baird, Matthew’s father, also settled the same year. Bowker’s four children attended the Mott Schoolhouse, which was situated on the same property as the town’s cemetery in 1848. The school also served as the Old Baptist Church for many years where Silas was an Elder and preached many sermons. By 1850, Silas Bowker owned 160 acres of land near what is Bowker Lake today. The Bowker’s and the Baird’s likely interacted frequently. Besides being neighbors, both George and Silas held many elected township offices through the 1850s, including Supervisor, Treasurer, Overseer of the Poor, School Inspector, and Clerk. In 1850, Maggie is nine years old living at home with her parents, Silas and Margarette Bowker, and her three brothers and sisters. 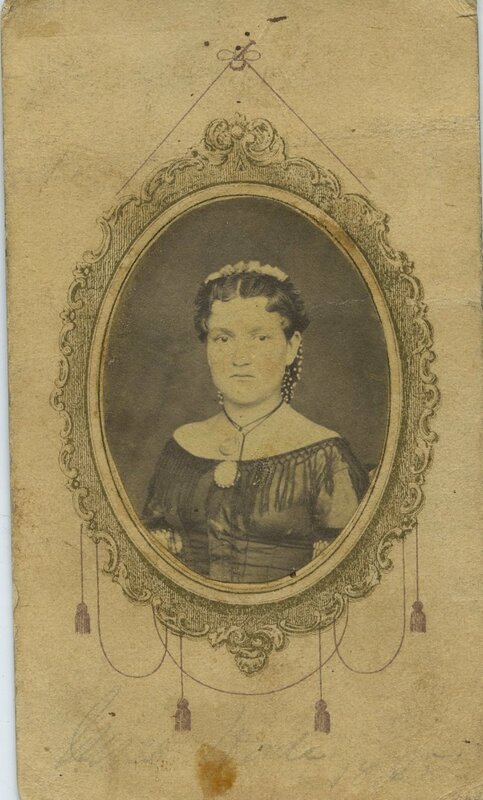 In 1860 she is still at home in Hope Township with her parents and her brother David. She and Baird correspond frequently through the remainder of the Civil War. It is obvious that they will marry, providing Baird survives the war. The later stages of the war find her envelopes show a return address in the Croton Township area of Newaygo County. It appears that either she and/or her parents have moved out of Hope Township towards the end of the conflict. After Baird is discharged and returns home in 1865, they marry on March 4, 1866 in Allegan County, Michigan. They were married by Maggie’s father, Silas. Maggie and Matthew reside near Hickory Corners (near Cedar Creek), Michigan in Barry Township after their marriage according to the 1870 census. His parents are both deceased and we find no one left at the old home site. His parents are thought to be in unmarked graves at the Cedar Creek cemetery. On July 2, 1875, his longtime companion and letter correspondent Maggie passed away. She was only 34 years old at the time. There is no evidence that they ever had any children and her cause of death is listed as “paralysis”. Maggie is buried in Cedar Creek Cemetery, near her parents’ grave sites, with Mathew close by. Although, Historic Charlton Park is not in possession of a photo of Matthew Baird, we are lucky enough to have one of Maggie. The image here was likely taken during the war.